We are extremely grateful to CorgiAid for providing financial assistance for our rescues. Please consider supporting CorgiAid. About Top of Texas Corgi Rescue, Inc.
Top of Texas Corgi Rescue, Inc. is a small all volunteer, 501(c)3 non-profit organization incorporated within the State of Texas, and based in Amarillo and Lubbock. We serve the Texas Panhandle, South Plains of Texas and surrounding areas to rescue, foster, and place rescued Pembroke Welsh Corgis in adoptive forever homes. Our rescues come from a variety of sources. 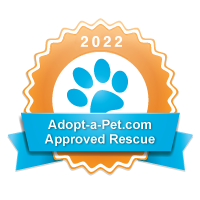 These sources include public animal shelters and humane organizations, other rescue networks, individuals who, for various reasons, surrender their dogs into our care, and from dogs found in need of rescue through social media. Our rescues are provided medical care, including spay/neuter, heartworm testing and preventatives, vaccinations, dental, if needed, microchipping, and other medical care necessary to help them become healthy and ready for their forever home.